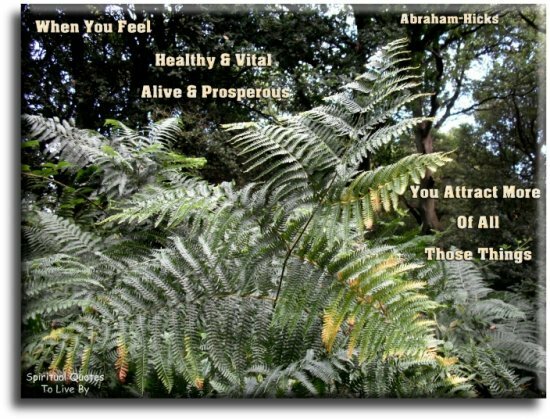 Abraham-Hicks quotes about health and healing are essential guidance on how to use the power of our thoughts to create good health. Keeping our focus on feeling good, no matter what health conditions we are experiencing, will raise our vibration and enable our bodies to heal themselves. Anytime you have physical discomfort of any kind, whether you call it emotional or physical pain within your body, it ALWAYS means the same thing: "I have a desire that is summoning energy, but I have a belief that is not allowing, so I've created resistance in my body." The solution, every single time, to the releasing of discomfort and pain is the relaxation and the reaching for the feeling of relief. Don't let the statistics that someone else has created affect you. You get to choose - you are wise enough, smart enough, deliberate enough. Every cell in your body has a direct relationship with Creative Life Force and each cell is independently responding. When you feel joy, all the circuits are open, so the Life Force can be fully received. 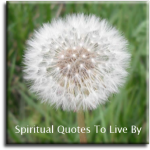 When you feel guilt, blame, fear or anger, the circuits are hindered and Life Force cannot flow as effectively. Physical experience is about monitoring those circuits and keeping them as open as possible. Your cells know what to do; they are summoning the Energy. 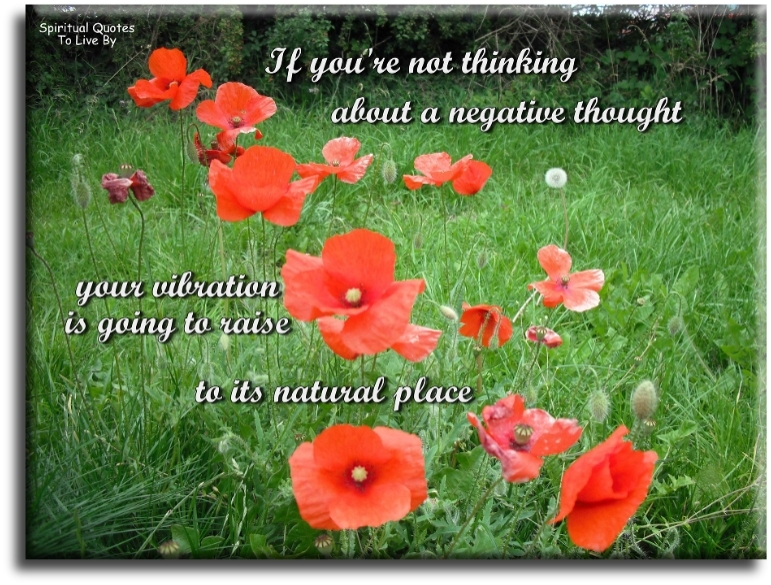 If you're not thinking about a negative thought, you're vibration is going to raise to its natural place. It is natural for my body to be well. Even if I don't know what to do in order to get better, my body does. I have trillions of cells with individual Consciousness, and they know how to achieve their individual balance. My Inner-Being is intricately aware of my physical body. My cells are asking for what they need in order to thrive. And Source Energy is answering those requests. No sickness would exist on this planet it your contrast hadn't carved out wellness... that you're NOT allowing. "Is there any limitation to the body's ability to heal?" And we said, "None, other than the belief that you hold." And he said, "Then why aren't people growing new limbs?" And we said, "Because no one believes that they can." The better you feel, the more in alignment you are. The worse you feel the more our of alignment you are. There are many limiting thoughts in the human environment that can make it seem that these so-called incurable illnesses or unchangeable conditions cannot be changed. But we say that they are only "unchangeable" because you believe they are. There is not a source of not-well-being. There is not a source of sickness. There is just the dis-allowance of wellness. This sensation of pain is an indicator that Source Energy is responding to my cellular request for Energy. This sensation of pain is a wonderful indicator that help is on the way. I will relax into this sensation of pain because I understand that it's indicating improvement. Wellness that is being allowed, or the wellness that is being denied, is all about the mindset, the mood, the attitude, the practiced thoughts. There is not one exception, in any human or beast; because, you can patch them up again and again, and they will just find another way of reverting back to the natural rhythm of their mind. Treating the body really is about treating the mind. It is all psychosomatic. Every bit of it, no exceptions. Whatever you're thinking about is literally like planning a future event. When you're worrying, you are planning. When you are appreciating, you are planning. What are you planning? 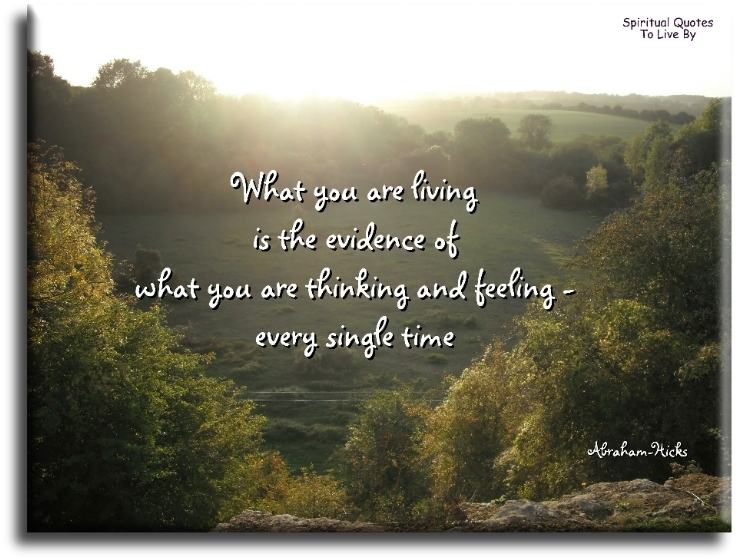 When you are in alignment your physical body responds differently than when you are not. When you FEEL healthy and vital and alive and prosperous... you attract more of all those things. When you sat before Jesus and others, there were many healers in your historical times, and you were dripping your illness, whatever it was, He did not see your illness, He was unconditional in His awareness of you. He was not focused upon the conditions that had manifested, He was focused upon the vibrational countenance which is what is becoming. When you stood before the healer [Jesus], He did not allow Himself to see the condition of your illness, instead, He unconditionally knew your intentions that were in your vortex and focused unconditionally on who you really are and therefore did not wobble in His vibration, He didn’t think about what you want and where you are, only about who you really are - and one who is connected to the stream is more powerful than millions who are not - and your illness simply could not abide in His vibration. He dominated the vibration. When you try to justify where you are by pointing out how bad things are, you are headed in the wrong direction. 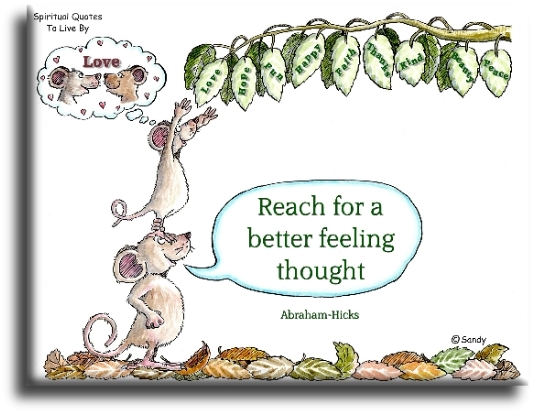 Reach for the thought that feels better, and allow the natural Well-Being that is yours. You accept what-is as a product of other things, like physical things or like conditions, and yet every condition is a by-product of a vibrational stance, every single time, and if you can just accept that, that everything that you’re living is a by-product of your vibrational stance and then you will acknowledge that you can change your vibrational stance therefore you can change every outcome, then it all becomes easier, and that’s what healing is. You could have every deadly disease known to man, and some they haven't figured out yet, you could have them all in your body right now... and tomorrow they could all be gone, if from one day to the next you learned how to allow the Energy to flow. You see the Law of Attraction evidenced in your society when you see that the one who speaks most of illness, has it. When you see the one who speaks most of prosperity, has it. Law of Attraction is evident everywhere you look. Your physical body is so near to you. It is responding purely to the balance of thought that you offer. It would take any of you very little to affect healing within yourself if you could acknowledge the power of thought and get your thoughts moving toward your expectation of wellness rather than toward your expectation of illness.